TankZone is provided for tank enthusiasts by tank enthusiasts. We only supply tanks that we run ourselves. 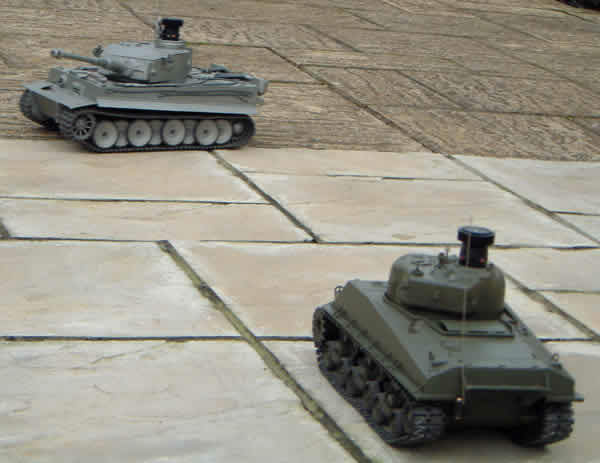 Here's a selection of photos of some real tanks and some of our radio controlled model tanks in action and under development. Got some interesting tanks related pictures? 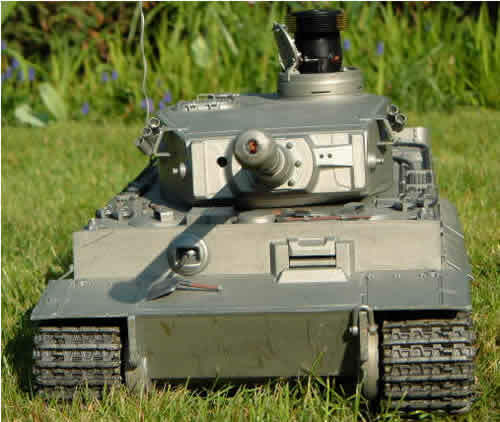 Send us photos of your R/C tanks or photos from visits to tank shows and museums for our photo gallery section. Tiger Vs Sherman - No Contest! 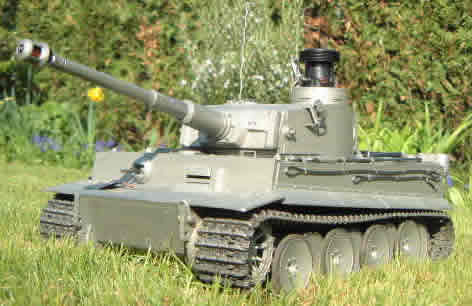 This 1:16 scale Tamiya Tiger 1 with full multi-function pack and battle unit was our first tank fully fitted out for battle. It comes in kit form with all necessary components. The battle unit is an optional extra. Under the control of a 4 channel digital transmitter, It can maneuver just like a real tank with independent suspension based on torsion bar springs. It can be run indoor or outdoor, on concrete or grass. The turret can be rotated and the main gun can be lowered and elevated just like the real thing. It has some fantastic sound and light effects as well as realistic recoil of the gun barrel and tank hull when the main gun is fired. 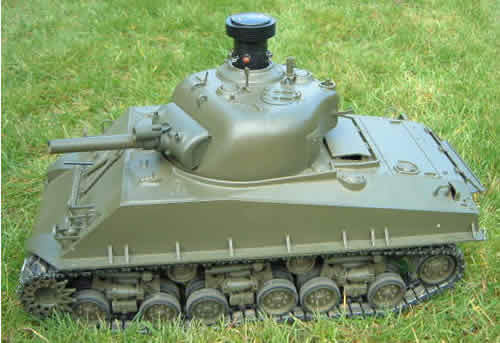 The Tiger 1 was followed shortly by this Sherman M4 in the same 1:16 scale. It is likewise fitted with full multi-function pack and battle unit. It comes with a 2 channel control system but can be upgraded to a 4 channel system for extra funtions. 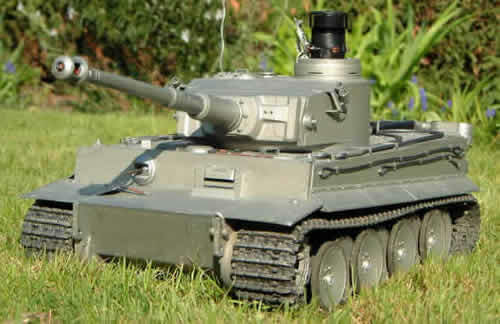 It has similar functions to the Tiger 1 except for the gun recoil. Instead you get a full set of lights for running in the dark. Now battle can be joined in its full glory! The two tanks maneovouring for position and blasting across the lawn at each other is a sight and sound to behold. Being a medium tank, the Sherman is set up to have a higher rate of fire but can take less hit because of its thinner armour.